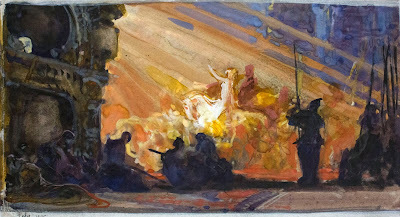 This is a stunning watercolor study by German artist Heinrich Kley (1863 - 1945). 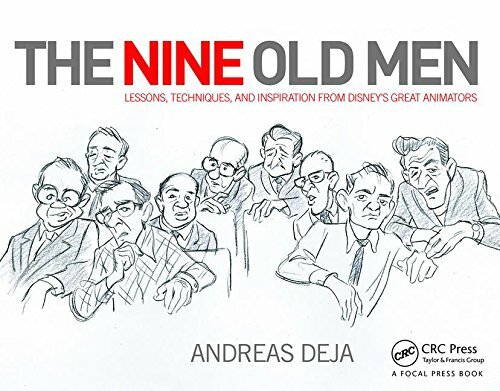 Many of you are familiar with his lively, satirical black and white pen and ink drawings of anthropomorphic animals and people. But Kley also did a ton of color work in his lifetime. This scene depicts a moment from some kind of Wagner like opera backstage. The central figure is a woman on a white horse, then there are guards, musicians and even a tiger in the lower left corner. To me this is an impressionistic masterpiece. The use of light is so bold and unusual, and I love the blend of warm and cool tones. This piece is not signed, but dated February 1905. It measures 10.5 x 6". I purchased it years ago in Munich from Kley's estate.